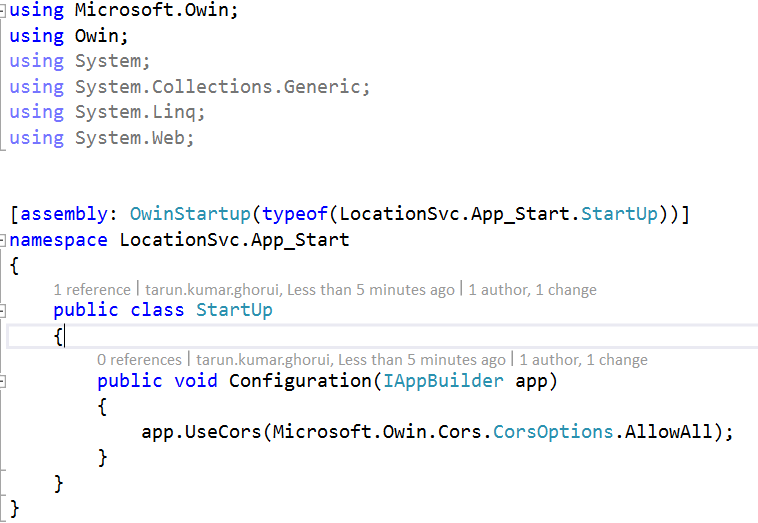 I have created on JS SPA which calls Web API. I am using CORS to allow all request for Web Api using tag "assembly: OwinStartup" and "app.UseCors(Microsoft.Owin.Cors.CorsOptions.AllowAll);"
For Edge request is successful whereas in Chrome it is not. I am getting error: Failed to load https://localhost:44373/api/location?cityName=dc: No 'Access-Control-Allow-Origin' header is present on the requested resource. Origin 'https://localhost:44392' is therefore not allowed access. Interesting part is I am unable to see any "Access-Control-Allow-Origin" request header for both in Developer tool. My guess for it "working" in Edge is because it's detected localhost and decided not to do a CORS check; but Chrome will always do the check. Comment out GlobalConfiguration.Configure(WebApiConfig.Register); from the global.asax file because we want to use OWIN for Web API. How do I detect the KeyboardEvent for the escape key? How to use 'Authorization Bearer' in headers and response?